It's been a while since I posted here! After the Graze I started working on my 2 "secret" projects pretty aggressively and that's been taking up most of my Gunpla time. I'm finished with one and I'm wrapping up the second now. They're way past deadline, but the extra time will be worth it. If you signed up for emails during my giveaway then you should have received an email with a sneak peak! So 2016 is done! It was a tough year; mostly in the areas of politics and celebrity deaths. For me, it was a pretty average year. It was also the year I started building Gunpla! I've come a long way from the 00 Raiser, but I still have a long journey ahead of me that will hopefully last years to come. In 2016 I finished 13 kits. Some took me months, some took only a few hours. Every modeling skill I have at this point, I learned in 2016. It's pretty weird to think about it that way! I won a judges award for my Hi-Nu Ver Ka at the Hobbytown Grand Prix which was a total shock. That was the third kit I'd ever built but I put about 3 months of work into it. My competition goals for this year are to place in a local competition, and enter into GBWC in Dallas in June. As far as GBWC goes I want to enter to participate this year for the experience, and then start on something for 2018 shortly after. I want to be a serious contender for GBWC 2019 and I'm setting my sights on that right now. This is a kit that I have snapped up, but I need to finish the stickers, panel lining, and then top coat it. Really, I just need to sit down and get it done. I started this as a break from the 2 RX 78-2s I was working on, but then picked up momentum again and set it aside. Time to finish! Oh, yeah. This guy. I originally bought this kit to enter into the Hobby Town Lewisville's RX competition, but it's looking like I won't be able to get to it before the competition on February 2nd. It's all snapped up and ready to be disassembled for paint, but because it has so many parts and a full frame it will probably get pushed back a few months. Sorry Grandpa! It's a great kit and was a lot of fun to snap together; if you're looking for a good RX 78-2, I'd reccommend this one hands down! 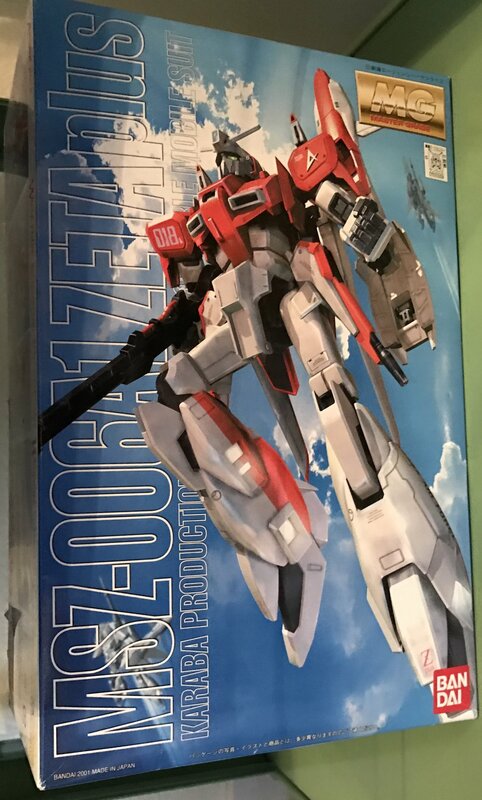 I picked up this kit for 75% off at Barnes and Noble, and I don't really have any plans for it so I'm putting it off until after the Wing Custom, in case I want to kit bash any parts or mess anything up on the Custom. AWWW YEAH!!!!! I'm looking forward to this kit because the Wing Zero Custom was the Gunpla I built back in about 1998 when I lived in Okinawa. This mobile suit lived in my subconscious since then, until I saw pictures of it after I got back into Gunpla and realized I had a relationship with it already. I want to go all out with this one, but I haven't made any concrete plans just yet. 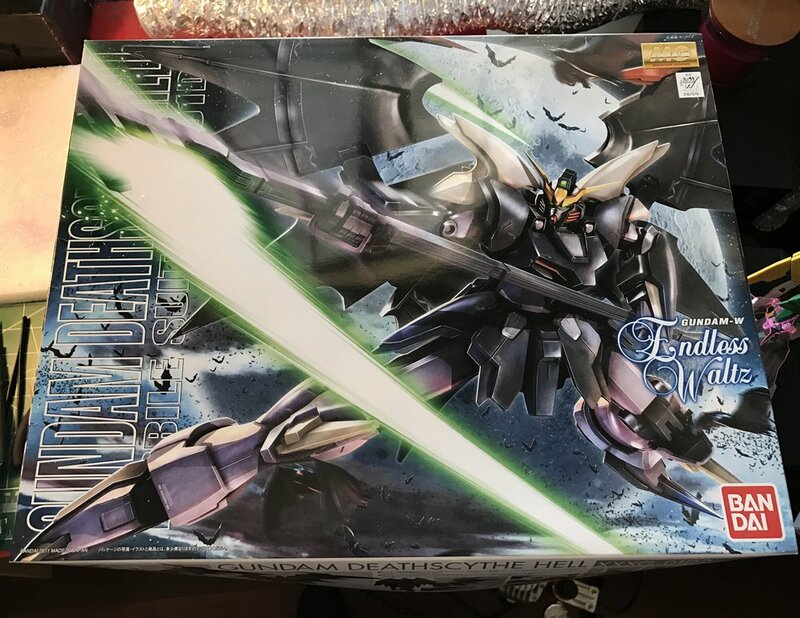 DEATHSCYTHE!!!!! 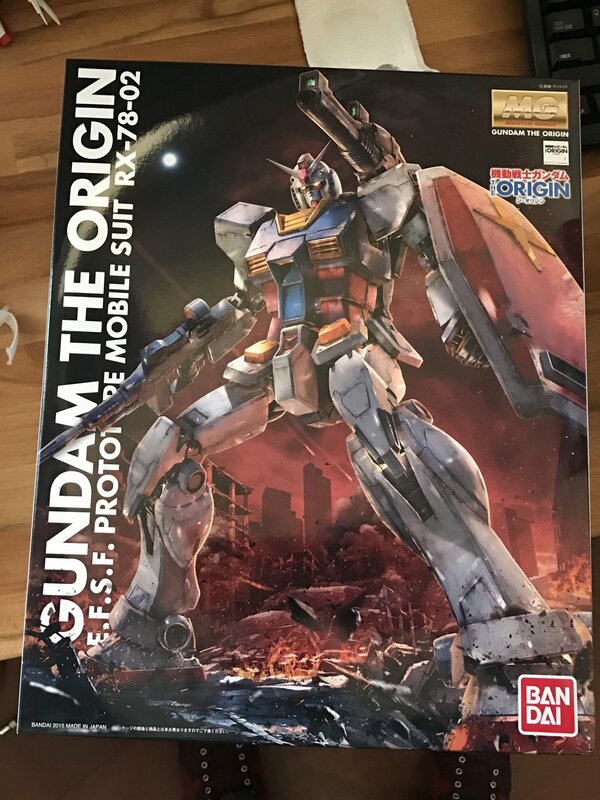 My wife got this for me as a surprise a few months ago on a day I was feeling down in the dumps and it really brightened my day :) I've been dreaming about it (I've actually had dreams about this kit) (like I woke up and realized I was dreaming about it) since then and I am absolutely itching to build it. I'll either paint it the same colors or do a re-color in shades of dark red; I haven't decided just yet. Look at this chunky chunky fuel tank boy! I may not do a PG this year because this big guy is so big. I want to do some LEDs and clear effects for the boosters, and a full paint job. Bandai is selling Star Wars vehicles in the states! This was the first one they made available and it's pretty impressive. For this kit I'll either go with dry brushing and weathering (like the classic X-Wing look) or go in a completely different direction than cannon, like all neon colors or something like that. This kit comes with 2 (a 1/72 and a 1/144) so maybe I'll just do both! Tim Harkins recommended this kit on Gunpla Talk, so I thought I'd give it a spin. No idea what I want to do with it, so it's at the back of the line for now. Lupus! I got this kit for 2 reasons. First, I love the detail Bandai put into it and it looks like a solid kit. Second, I've been watching Joshua Darrah work on his drawings of his re-imagining of the Lupus and I want to take some of his ideas and try to implement them onto a model as a challanging way to build my skills. Other kits I have are the first Bearguy, a couple petit Bearguys, and a Nobel Berserk Mode. I'm not sure what I want to do with these but with all these Master Grade kits, I'm sure they'll be a nice break. I also have my eye on that RG Astray gold frame, and I'm sure IBO will have some more interesting 1/144 kits coming. Thinking about it all seems like a lot, but I really want to put the petal to the metal this year and become a better builder. Here's to a great year ahead of myself, and ahead of us as a community! There are some pretty cool kits announced for 2017 and I can't wait to see what Bandai has in store for us, especially in the 1/100 scale! Thank you for stopping by, and again sorry for the content drought lately. Until next time, keep building!